The Society for Mining Metallurgy & Exploration (SME) Foundation in conjunction with the SME Young Leaders Committee is pleased to announce a new challenge for SME members under the age of 40. The $4K by 40 Challenge was designed to encourage philanthropic giving by young professionals to promote our industry and the outreach goals of the SME Foundation. 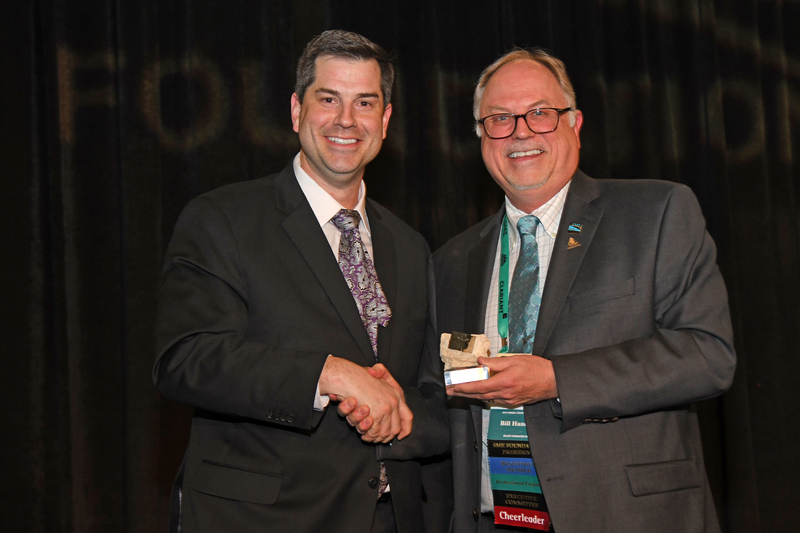 Member contributions will be tracked and those donating $4,000 or more cumulatively to the Foundation’s programs by their 40th birthday will be honored for their contributions and commitment to our industry. * Donors have the flexibility to choose the SME Foundation program to which their donations will be allocated. Qualified Employer Matching Donations will be considered as part of the member’s donations. Donations made will be jointly eligible to this challenge, the $1K Club**, and the John T. Boyd Challenge. Ryan M. Murray, Vice President of Operations at Murray Energy Corp., is the first recipient of the $4K by 40 Challenge award. He received this award from SME Foundation President, Bill A. Hancock, at the SME Foundation Annual Gala Dinner on February 24, 2019 in Denver, CO. Congratulations Ryan! Please contact the SME Foundation at 303-948-4239 if you have any questions. This challenge is currently seeking a nameplate or matching sponsor. Interested parties should contact the SME Foundation for details regarding this exciting opportunity. *Donors must self-identify as participants in this challenge for specific $4K by 40 tracking purposes.